We offer MONTHLY SPECIALS each month. Call or email for this month's special. Where we are located, includes map and directions. Our annual RV Parks offer 3 boat ramps and 2 fishing piers. The boat ramps are closed to the public for your privacy. Wireless Internet is available for the both parks. Plenty of parking space for your boat and vehicles on your lot. We are Pet friendly and our paved roads with well placed security lights, give way to a relaxing evening stroll. We provide water and sewer, customer pays their own electricity. Sewage treatment system located on the property. One of the restrictions for the RV Park is no trailer 10 years old coming to the park. Waterfront lots have 45' to 60' of shoreline. We have off the water lots that have a nice water view. Contact us for pricing. 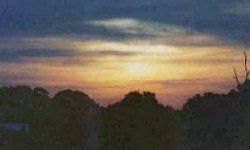 First class RV Parks with over 45 wooded acres! 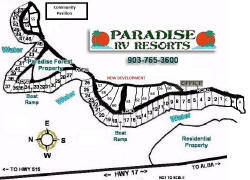 The largest annual waterfront rv lots on Lake Fork! 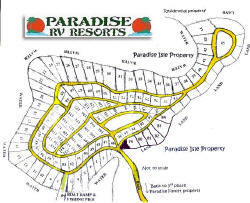 Each waterfront lot has approximately 45 to 60 foot of shoreline! 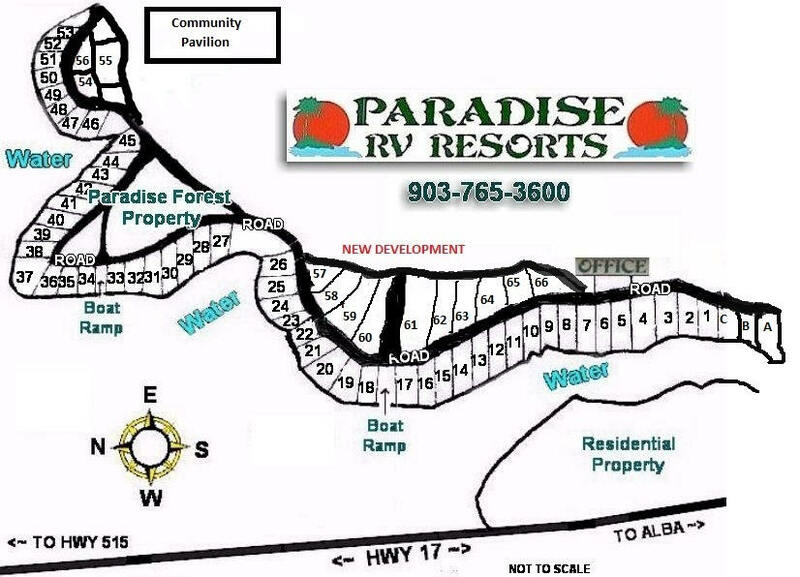 For your convenience each lot has a level 10'x 34' concrete pad, parking for vehicle and boat beside RV trailers are gravel. From all sites you can relax and enjoy the beautiful Lake Fork scenery. With privacy and security in mind there is only one entrance in and out of the park with a security gate. Water and Sewer are included with the lease. We also have private boat ramps conveniently located for you to launch your boat. RV Leases starting as low as $900.00 annually. 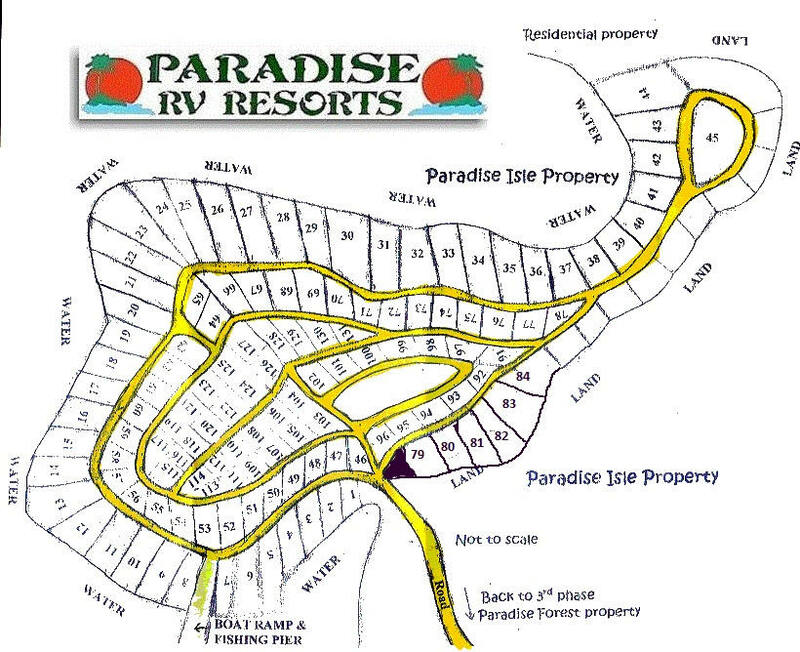 Contact us today to reserve your rv lot in Paradise!